The Streatham portrait, discovered at the beginnin o the 21st century an believed tae be a copy o a contemporary portrait o Lady Jane Grey. 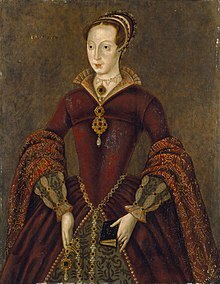 Lady Jane Grey (1536/1537 – (1554-02-12)12 Februar 1554), an aa kent as Lady Jane Dudley or The Nine Days' Queen, wis an Inglis noblewoman an de facto monarch o Ingland frae 10 Julie till 19 Julie 1553. ↑ Higgins, Charlotte (16 January 2006). "Is this the true face of Lady Jane?". The Guardian. Retrieved 2008-05-11.